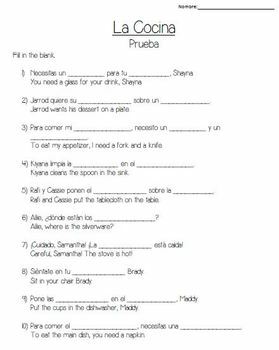 A quiz and study guide focused on kitchen vocabulary. 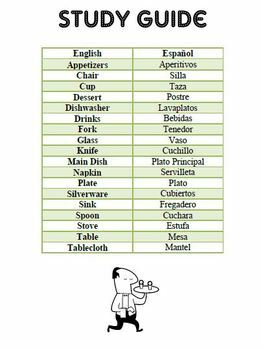 Words include: fork, knife, spoon, table, dishwasher... Both study guide and quiz are included in Microsoft Word and PDF format. Fully editable!